Milano Card is the official card of BIT 2016, the International Tourism Fair to be held in Milan from 11 to 13 February 2016 . 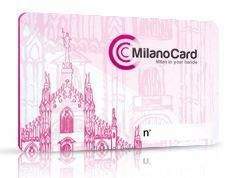 For visitors BUYER was made an ad hoc version of MilanoCard purchased from this page and collected at one of the pickup point network MilanTourismPoint ( click here for full listing ) at airports and stations , or from your hotel , with a premium of 5 € . The expedition to the hotel requires 48 working hours . 2 ride a day free on all public transport in Milan for 6 days from the first validation . The card caould be purchased by credit card , directly from this page and for only 15 € . After the payment you can set the estimated date of arrival , your full name (also valid if a colleague pickup for you ) and the pickup location choosen . 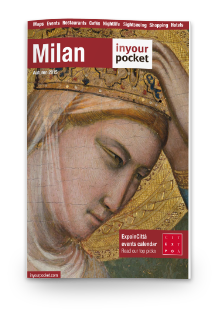 The card is to be collected at the airport of Milan , at central Station or in the Galleria Vittorio Emanuele . Otherway , with a cost of € 5 , you can receive it in the hotel ( you prompted purchase 48 working hours prior to arrival in order to receive at the hotel ) .